COPENHAGEN (Reuters) - Novo Nordisk (NOVOb.CO) is in advanced talks to acquire assets to bolster its struggling biopharma business, its chief executive said on Monday after the drugmaker announced it had hired an AstraZeneca executive to head the unit. Novo, best known for its diabetes drugs, has been looking for biopharma assets after losing out to French rival Sanofi (SASY.PA) in the chase for Belgian biotech company Ablynx (ABLX.BR) in January. 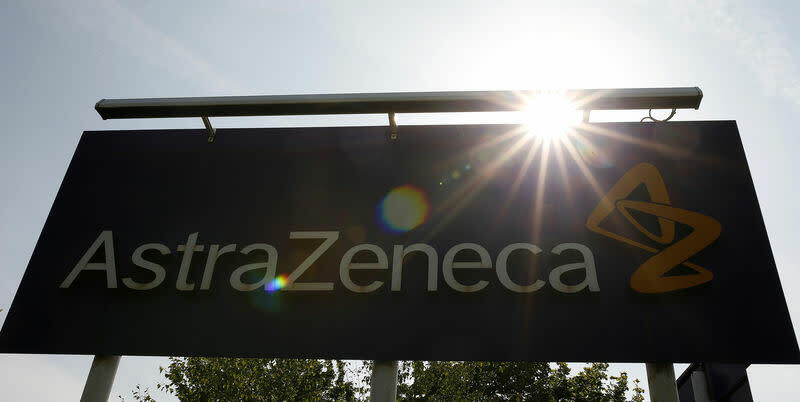 Sales at Novo's biopharma unit fell 16 percent last year and the Danish drugmaker said on Monday it has hired AstraZeneca's (AZN.L) head of cardiovascular and metabolic diseases, Ludovic Helfgott, to head the business from next April. Novo hopes to close the deal to buy biopharma assets this year, CEO Lars Fruergaard Jorgensen told Reuters, but declined to provide more detail on the potential deal. "It is not always easy to predict when a transaction goes through, but we are in enough ongoing discussions that it might be possible this year if all goes well," Jorgensen said in a phone interview. Novo has previously said it was looking for biopharma deals and has earlier this year secured the global license for U.S. biotech company EpiDestiny's sickle cell disease (SCD) program. Novo's biopharmaceutical business comprises its human growth hormone as well as its hemophilia franchises, which are facing tough competition from Roche's (ROG.S) Hemlibra drug. "It will take some years to get back to organic growth, so we are looking at accelerating this by buying up," Jorgensen said, adding that the firm was also looking to make acquisitions outside hemophilia and growth disorders. Jorgensen said Novo had been "very close" to securing another biopharma deal but it fell through as the Danish company had not been convinced of the quality, without giving details about the deal. "We are not desperate, we are disciplined," he said. He acknowledged that Novo's biopharma unit faced commercial challenges in the short term but said it was looking to grow organically by launching its existing products in more markets including China and developing the drugs it has in its pipeline. Helfgott will replace Jesper Brandgaard, who will retire in April next year after 20 years at the Danish company. Brandgaard was also Novo CFO until he stepped down from that role earlier this year.